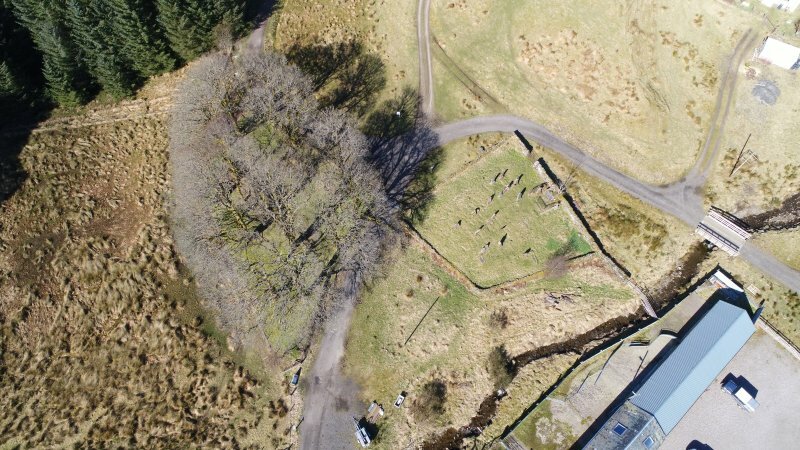 (NN 3592 2841) St. Fillan's Chapel (NR) (Ruins of). OS 6" map, Perthshire, 2nd ed., (1900). 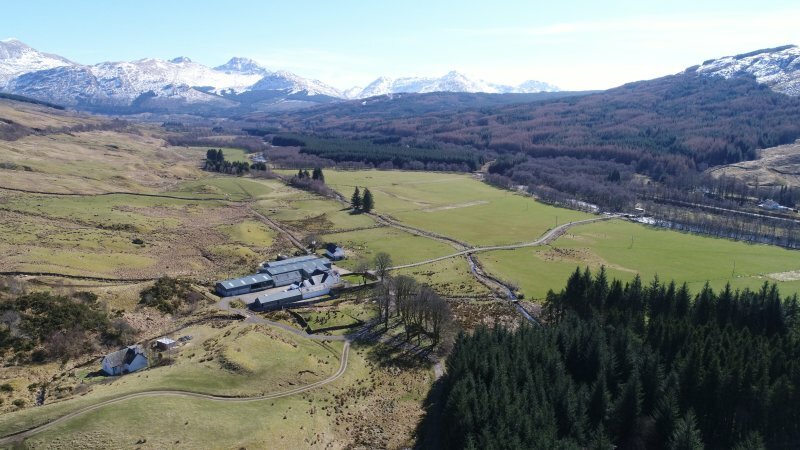 Strathfillan - a priorty of Augustinian Canons, founded 1317/8 by Robert I. when the church or chapel of St Fillan in Glendochart was bestowed upon Inchaffray Abbey. Priors are recorded from 1498. The priory was dissolved in 1607. 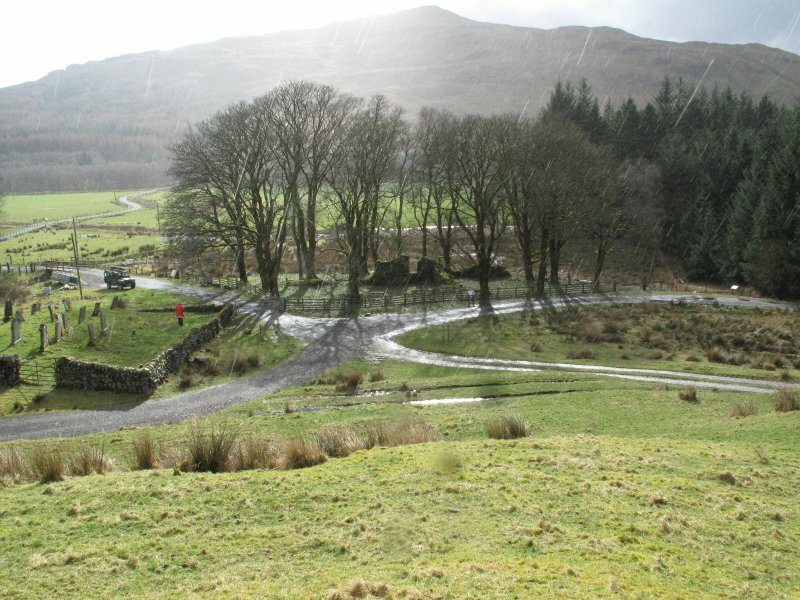 An Abbot of "Glendochir (or Glendocheroch)" is mentioned temp. William the Lion (1165 - 1214) but there is no record of a monastery, Celtic or otherwise, in Glendochart during this period. 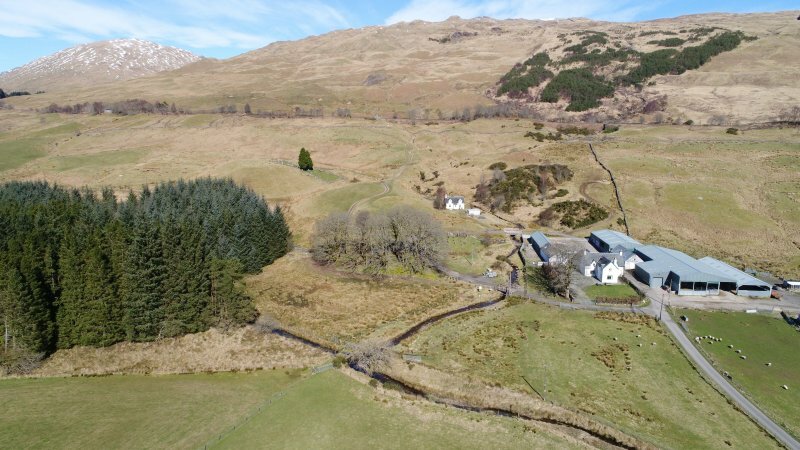 The traditional site of the original monastic church is in the neighbourhood of St. Fillan's Pool, further up the river. 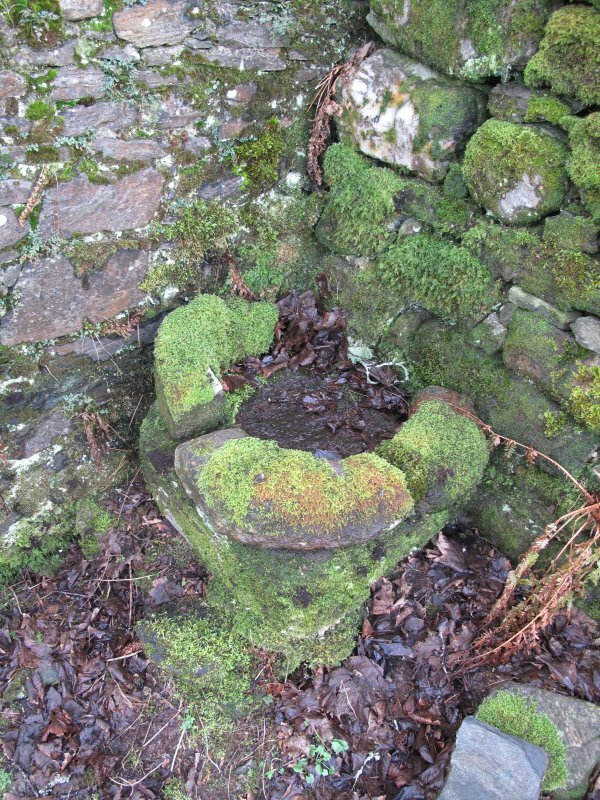 The present ruins compose parts of the original north and south walls of the church, built of hammer dressed stone and lime mortar four feet thick. 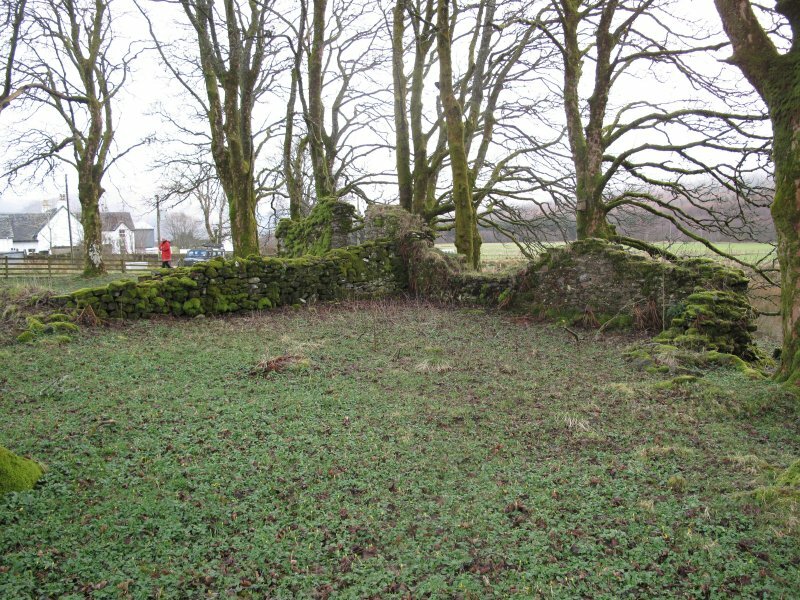 The remains of a building on the end of the church may have been the prior's house and the apsidal end may suggest a round tower. The walls of the church are of mortar bound rubble and rise to a maximum height of 3.0m. The NW corner is completely destroyed and at the SE end the walls are a tumble of stone. Outside the church to the SE, are traces of other structures now represented by stony banks. The plan of one room only can be traced. 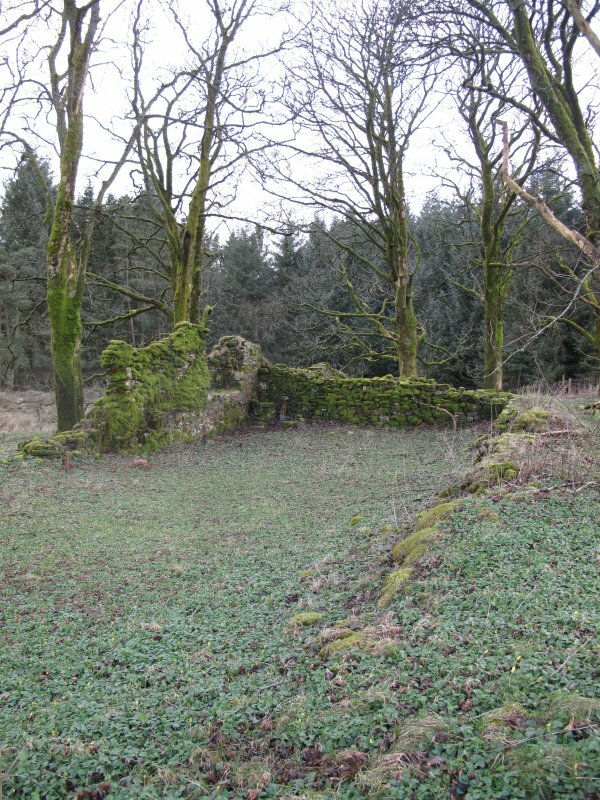 There are now remains that can be identified as the claustral buildings of the priory. 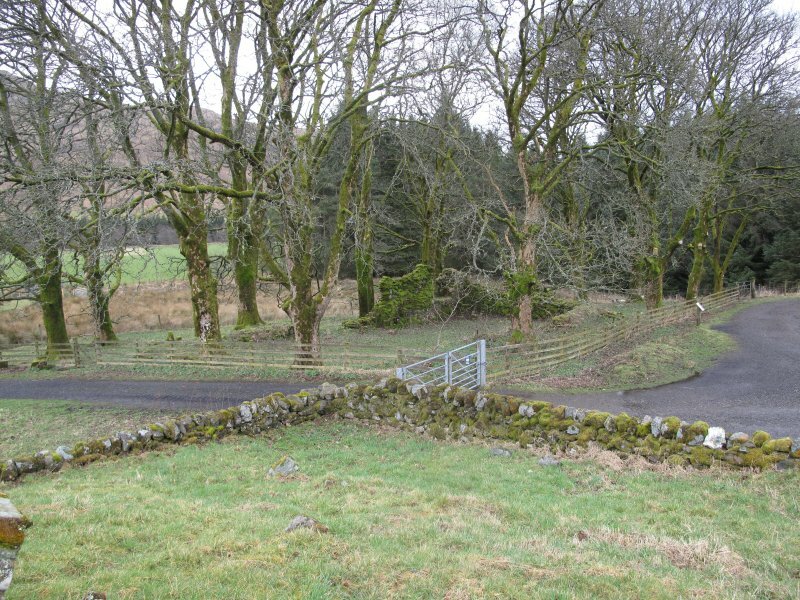 There are no remains and no local knowledge of the traditional site of the monastery at St. Fillan's Pool (NN32NE 5). Visited by OS (R D L) 5 May 1962. Visited by OS (R D) 30 April 1969. NN 359 284 Fragments of the walls of the church are all that remain of the Augustinian Priory of Strathfillan. It was founded in 1317/18 although a church was already in existence at that date. An early cross-slab bearing three incised crosses lies in the burial ground (NN32NE 3) immediately to the N of the church. 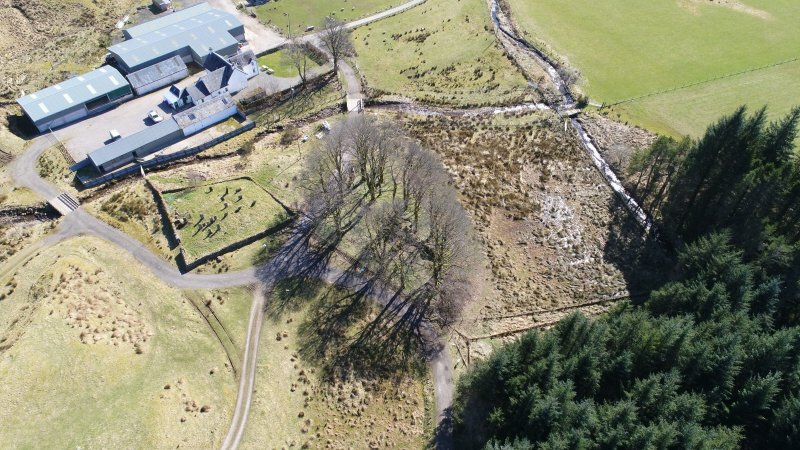 NN 3595 2839 As a condition of Scheduled Monument Consent a watching brief was undertaken on the excavation of two post-holes being dug in connection with the erection of a signboard for the West Highland Way at St Fillan's Priory. No archaeological deposits were disturbed.